VanityTrove Blog: Welcome to VanityTrove's Official Blog! Hi! Welcome to VanityTrove’s Official Blog. Here, we’ll be sharing with you the latest news and updates from us as we introduce new features on our site. VanityTrove is a community to discover beauty with people you trust. Often, we found ourselves faced with the problem of choosing from the thousands of cosmetic brands and products that are available in the market. sales promoter at the counter or a site filled with sponsored product reviews. We felt the strong need to build a conversational platform that provided real advice, from friends you trust, and from women who simply love and embrace beauty. Here, we’ve made it fun and easy for you to capture and share your daily beauty adventures and also to participate in other conversations! Get personal by Following with the women on the platform who’ expertise and style inspire you. Get the latest updates from your favourite brands and products and read honest reviews by women just like you. 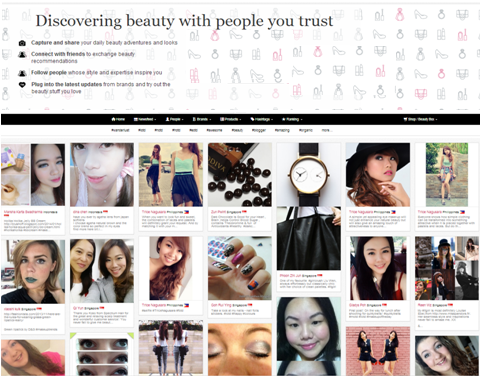 Lastly, update your beauty profile and let VanityTrove recommend you suitable products.